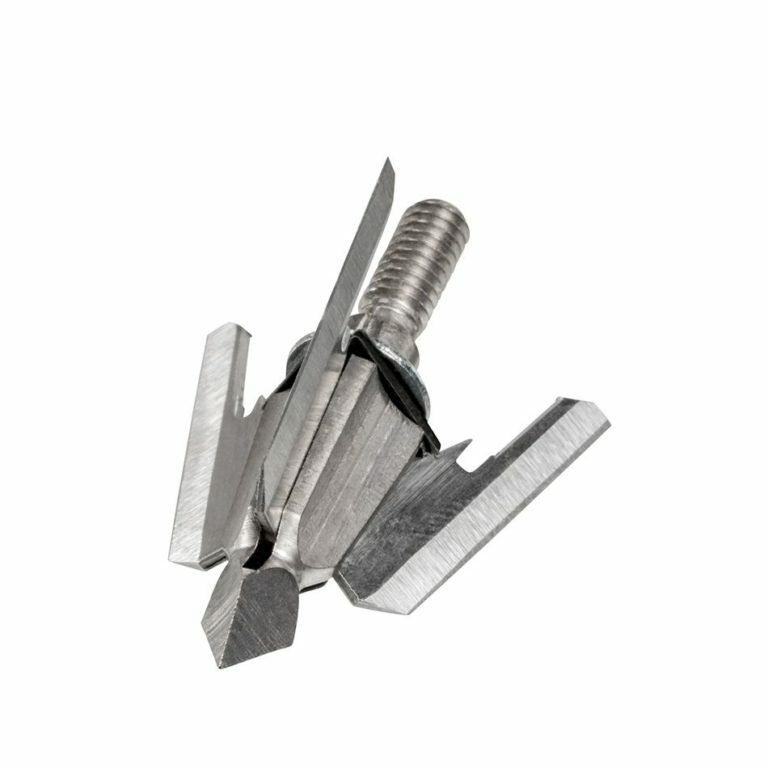 The 100 grain Z-Force mechanical broadhead features a unique ball-bearing system that ensures proper blade dispersement with every shot. 3 Per Pack. The 100 grain Z-Force mechanical broadhead features a unique ball-bearing system that ensures proper blade dispersement with every shot. 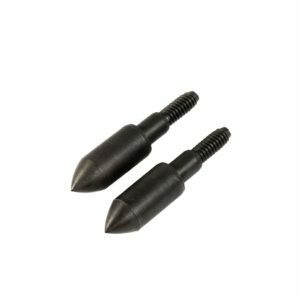 Its 1 5/8-inch cutting diameter, along with its solid steel ferrule, works in combination with its three blades to be the most lethal rear deploying head on the broadhead market today. Comes in a 3-pack. WOW! I shot these today and that’s exactly what I’ve got to say about them, they are just as accurate as my field points all the way out to 80 yards, and the ball bearing deployment system gives you a true 1 5/8 cut on entrance and exit. The chisel tip is extremely tough, and I don’t believe its possible to get the blades any sharper. These will be my broadhead of choice for sure! By far, the best broadheads I have ever shot. Fly just like a field tip. 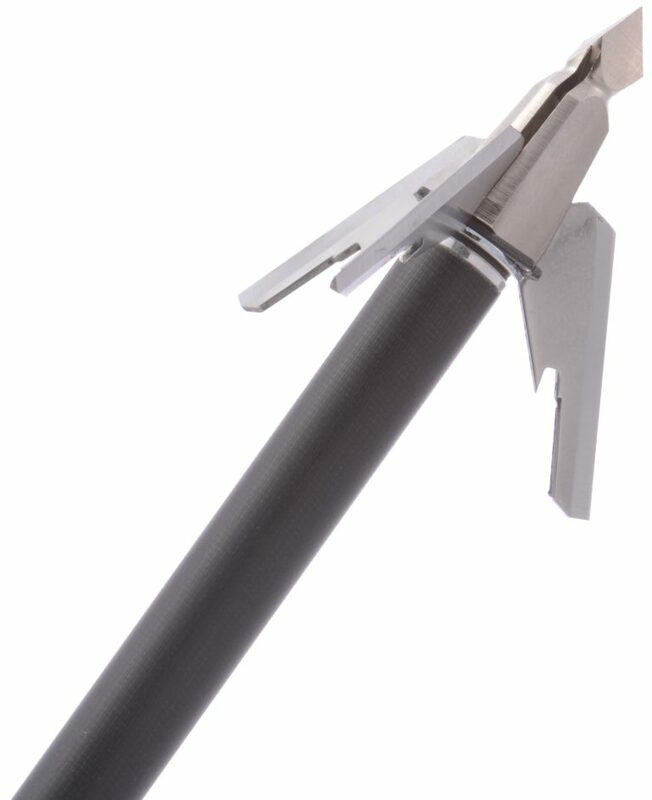 Blades are tough and rugged, no deployments issues, and the chisel tip will bust through bone. Took a steep downward angled shot on a doe, these blades busted through 2 ribs and punched straight through the sternum. First broadheads that I have shot with complete 100% confidence that they will do what they need to do. I will be shooting these breadheads for as long as I hunt. Had a 6 pointer quartering away at 30 yards. I shot and knew I hit him. It wasn’t until we found him about 60 yards away the I saw how far back I hit him. (right in front of the rear leg, I’m thinking he reacted to the shot and turned more..) the arrow went through some guts and into the vitals, liver and lungs for sure, and broke 2 ribs but did not pass through. the blades deployed without any problems and continued to slice up his innards while he ran. Great broadhead. Will definitely continue using them. 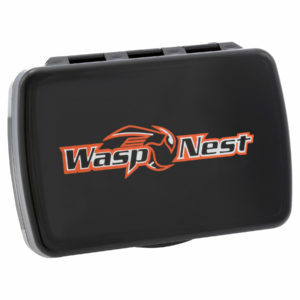 Compact case for all broadheads. We believe in making every email hit the mark. No junk. Just great deals on broadheads and tips about bowhunting. Sign up today and get a special offer for your next purchase! Never miss a deal and never miss your target. Sign up today and save on your next purchase! We believe in innovation. We believe in hard work. We believe in quality. We believe in America. We’ve always made our broadheads in Connecticut with 100% American-made parts because we know that’s how hunters get the best results on every shot. © Copyright 2019 Wasp Archery. All rights reserved. Web Design by First Scribe.